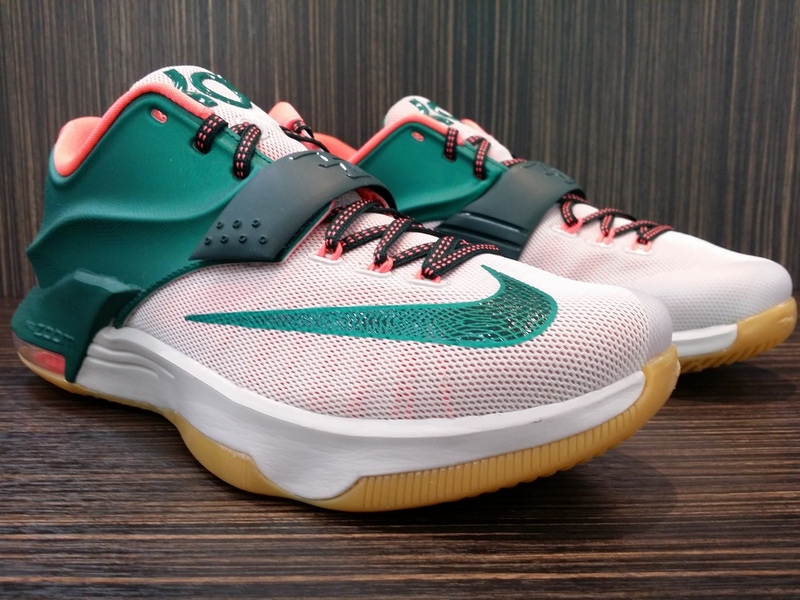 Nike KD 7 "Easy Money"
The Nike KD 7 “Easy Money” is inspired by Kevin Durant’s nickname as well as Ben Franklin’s iconic $100 USD bill. Featuring a Light Brown and Mystic Green base with Orange accents throughout sitting atop a Gum-colored outsole. Additional details include KD’s hometown Maryland embedded on the outsole, while the forefoot strap includes the names of his mother Wanda, father Wayne, grandmother Barbara, and his brother Tony. Click on the Images and check out the Detail for date and Private Release full information. Nike Air Trainer & Flight Huarache Premium QS "Love/Hate"
Nike LeBron 11 "What The"